The Timesquare os Rome! Piazza di Spagna or Spanish Steps in English is in my opinion the most famous squares in Rome.Where the selfie-sticks/roses/beer sellers won't let you go 30seconds without asking you over and over if you want to buy something;where lovers meet, where the locals people watch & where the tourists flood... It's always so crowded,but somehow it can be the perfect place for some reflecting. 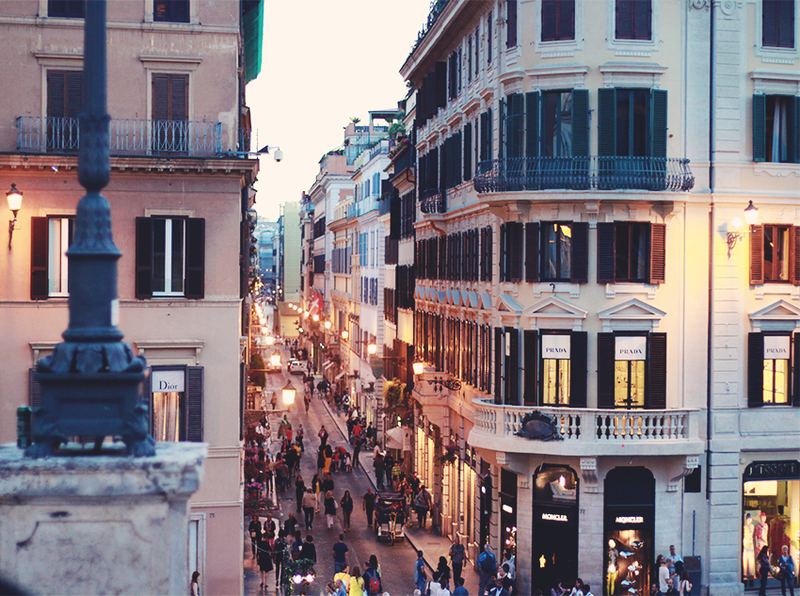 I love walking around the Spanish Steps area,its where Rosie and I ate some of the most amazing meals. If you are on a budget and you want some amazing pasta for 4euros,just turn around the corner at via della croce and there you will find Pastificio.